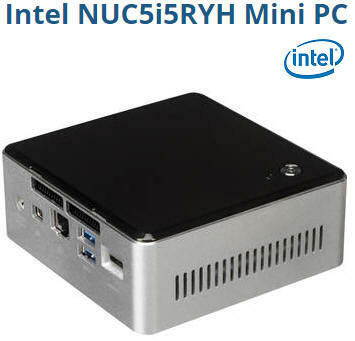 The NUC5i5RYH Mini PC NUC Kit from Intel is a compact system that fits in the palm of your hand and packs the performance of a Broadwell dual-core Intel Core i5-5250U processor with integrated Intel HD Graphics 6000. 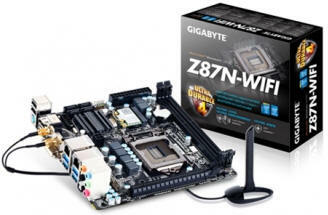 It features two SODIMM slots that can accept up to 16GB of DDR3L 1333/1600 MHz of RAM. 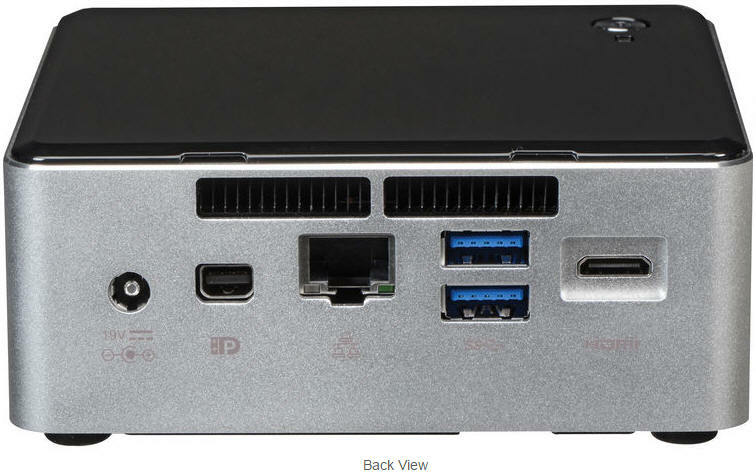 For long-term storage, it has room to hold a 2.5" hard drive or SSD as well as an mSATA drive connected to the M.2 slot. It also features a mini-HDMI and a mini DisplayPort to deliver high-definition content to your monitor or TV. With Bluetooth 4.0, you can wirelessly pair speakers or a mouse with this NUC. In addition to outputting video, the system features an infrared sensor that you can use an optional remote to control it right from your couch. 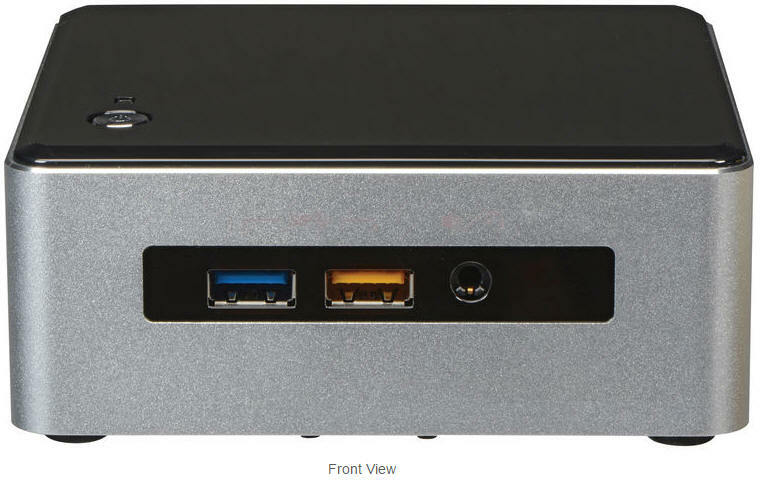 This NUC connects to the Internet for downloading online videos using its built-in 802.11ac Wi-Fi or the Gigabit Ethernet jack. For connecting with your peripherals, it offers four USB 3.0 ports. Additionally, one of the USB ports can easily charge your tablet or smartphone quickly. To save desk space, the system may be mounted to a wall or the back of your VESA-compatible monitor using the included VESA mount bracket. Moreover, you may personalize this system with different styles and features by replacing the lid. 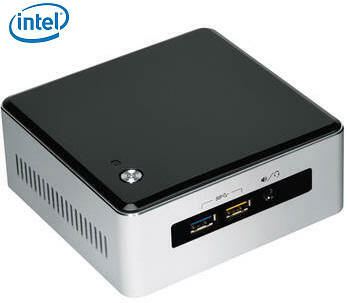 When fully equipped, the Intel NUC mini PC is designed for everyday use and gives you the power to play, create, and entertain. 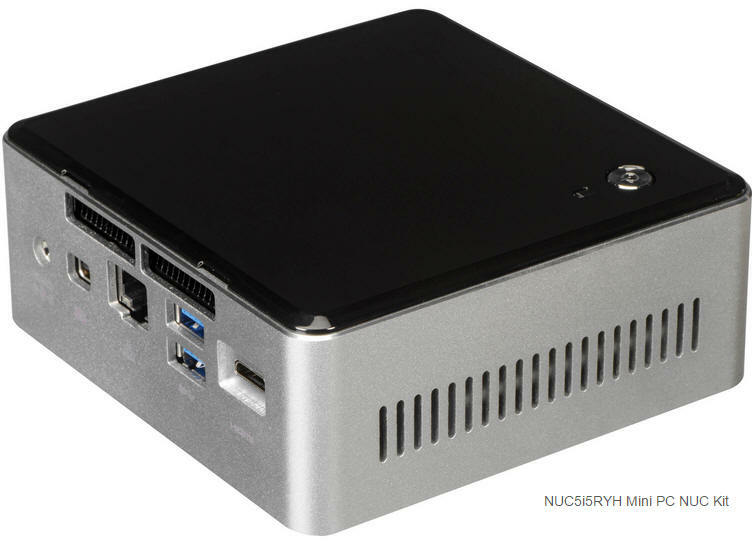 This NUC is equipped with a 5th generation 1.6 GHz Intel Core i5-5250U processor featuring visibly smart graphics using Intel HD Graphics 6000 to provide enhanced performance and improved graphics for casual and online gaming, video playback, and web browsing. 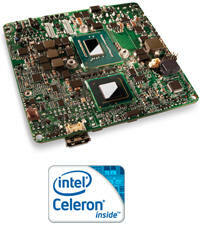 With Intel Turbo Boost Technology 2.0, the maximum clock rate this processor can achieve is 2.7 GHz. Having two cores also allows the system to run multiple programs at the same time without slowing down the computer. The BIOS with a configuration-friendly, easy-to-use interface lets you customize settings while reducing the risk of damaging your system. Whether you want to prioritize boot order, change the BIOS password, enable overclocking, or set fan speed, Intel Visual BIOS gives you total control. Linux can be installed, either as the primary OS or as a separate partition alongside Windows. 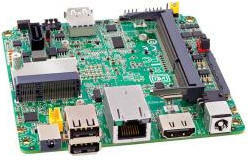 Certain versions of Linux are specifically adapted to be used as a Home Theater PC (HTPC). The single 1/8" (3.5mm) headphone/microphone jack on the front of the device lets you connect headphones, speakers, or headsets to the Intel NUC. The system features active cooling with minimal noise through the use of one fan. Box Dimensions (LxWxH) 5.5 x 5.2 x 4.6"